"The #th Edition". Colloquially, people called them "Version #". several others, System III was born, and later named System V.
Tacked onto this name were Release numbers and yes, Versions. So you will see things line SVr3v2. often, a feature, such as STREAMS, finds its way into System V.
In some ways, Research UNIX is closer to BSD than to System V.
Research Unix®1 Editions 8,9, and 10." The version of Research v8 is split onto 2 tape images, one for the graphical terminals, and the other for the OS install onto the VAX. The distribution is not suitable for any standalone operation, and requires a previously installed 4.1BSD machine, with a second disk to install v8 onto. Part of the installation requires you to compile your own kernel. I ran into a bit of problems as it’s not a 100% process, but after referencing this guide from David du Colombier, I had the system up and running. Naturally reading the installation manual helped a great deal too. 1 5545 Rog-O-Matic XIII for mjs: quit on level 17. 2 5043 ken: killed on level 23 by a dragon. 3 3858 zip: killed on level 16 by an invisible stalker. 4 3249 Rog-O-Matic VII: killed on level 16 by an invisible stalker. 5 2226 Rog-O-Matic VII: killed on level 13 by a troll. 6 2172 St. Jude: killed on level 13 by a troll. 7 1660 Rog-O-Matic VII: quit on level 11. 8 1632 Chipmunk the Jello: killed on level 10 by a centaur. 9 844 Rog-O-Matic VII: quit on level 5. 10 401 Rog-O-Matic VII: killed on level 4 by a snake. Does this mean Ken Thompson was an avid rogue fan? Perhaps. Naturally I quickly compiled the v100 version of aclock, and had it running. I’ll have to edit this and more and more as I find out, but I’ve been busy in real life, and of course I know that in addition to v8, there is also v9 & v10 to tackle. And you should now be good to go!  As always you’ll have to battle the 404 page for the correct link and the username & password. Anyways, be sure to have the needed dev components installed. If you have a FRESH system, natrually you’ll need a lot more. Obviously I have something more interesting and more evil going on…. I was little busy and I didn’t process new binary submissions for over three years. Here they are, more or less in order of appearance.While not a lot for 3 years they are very important historically! Also almost all contributed, thank you all! AmigaOS bootable floppy disk by Jason Stevens. Android port by Adam Gutman. See below, it also runs on a watch! MVME PowerPC Linux by Plamen Mihaylov. ELKS by Lorenzo Gatti. This also includes a boot image! It’s hard to believe I somehow missed ELKS in my own efforts. Also there is a boot image available. MVME M68k NetBSD by Plamen Mihaylov. Thank you for collecting all these beautiful and rare Motorola MVME machines! BSDI 1.1 by Dima Naumov. This is very cool because of all the flavors of BSD I somehow missed this one! I’m still trying to figure out BSDi, BSD/OS and BSD/386 naming convention. Someone please help. VxWorks by myself. While VxWorks port existed before it was only compiled for a simulated Pentium (SIMPENTIUM) rather than actual target CPUs. I have came across a set of compilers and built it for ARM, MIPS, PowerPC, SH and Xscale. I still don’t have SPARC. 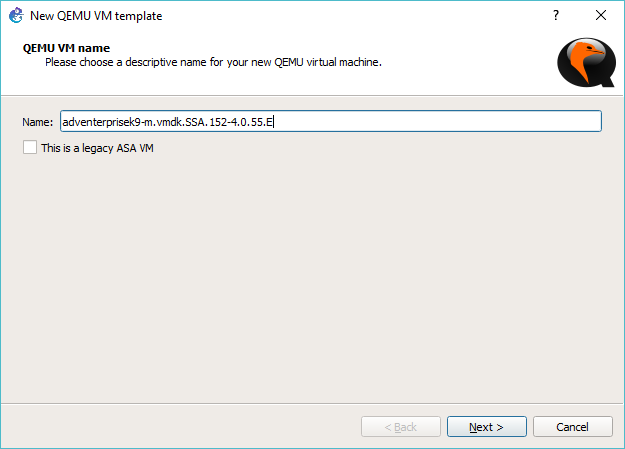 See this post about how to run your own target on VMware. ReactOS by Dima Naumov. While it’s expected that native Win32 aclock will run on ReactOS, this is a build targeting the OS specifically. Sharp X68000 running Human68k OS, by Jason Stevens. That’s a nice surprise! I’ve been looking for this one for a while. No screenshot for but hopefully Jason will be able to produce one. 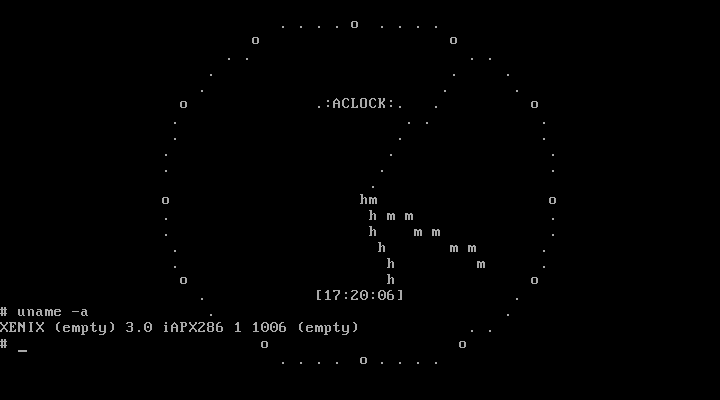 Human68k has a very cool looking GUI! 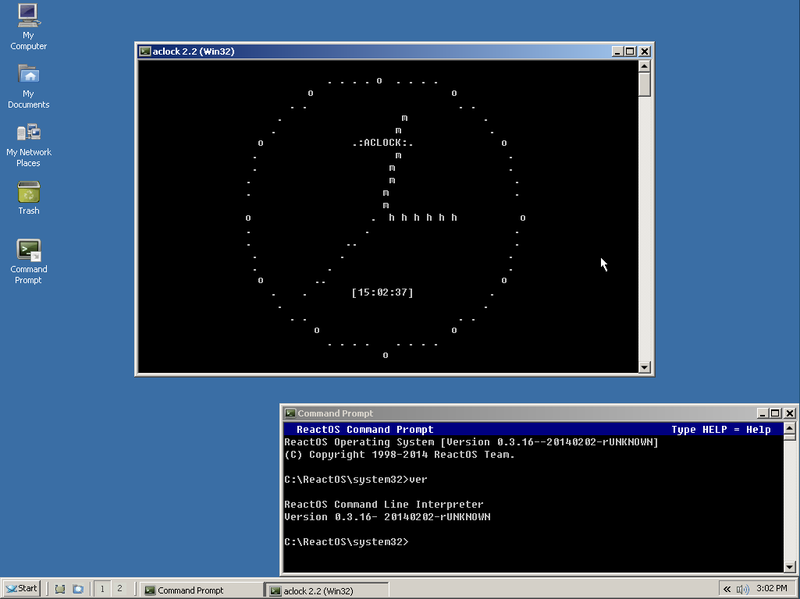 Microsoft XENIX 1.0 running on AT/286 by Michal Necasek. This was possible thanks for Michal’s huge efforts to patch this historical os to run on VirtualBox. I happen to own the original set of floppy disks that Microsoft produced and shipped to various OEMs such as IBM, Radio Shack, Intel, SCO, etc. 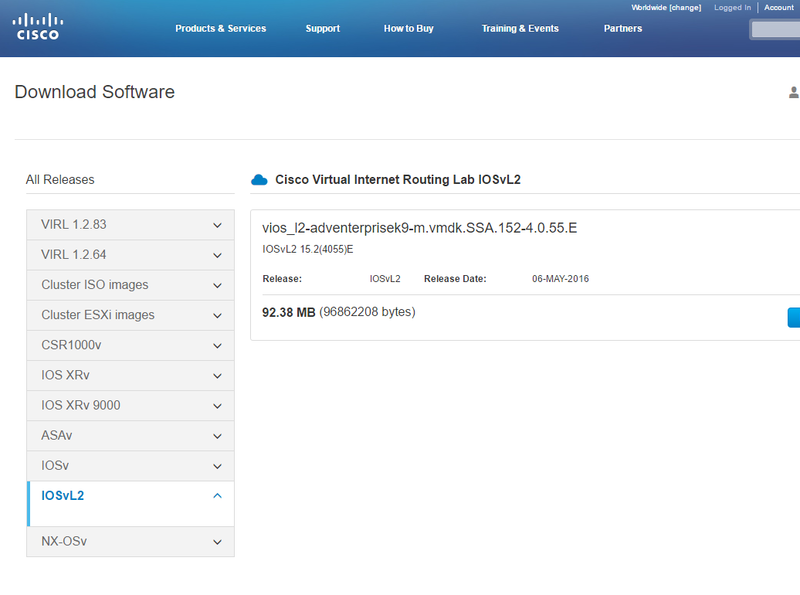 The set comes with a development kit which now you can run on a VM. 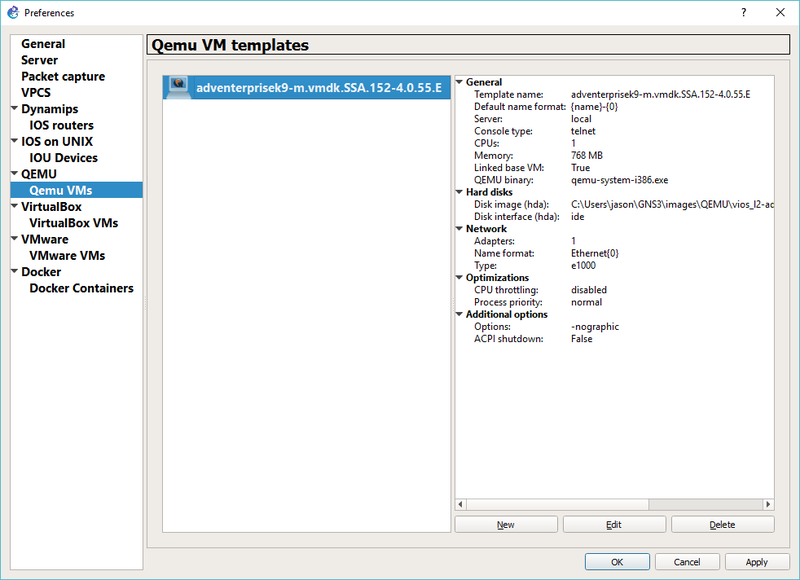 You can read some more about efforts to virtualize Microsoft/IBM Xenix on Michal’s Blog. Venix/86 on AT/286 by Jim Carpenter. This port was delivered as part of a virtualization challenge, which was won by Jim. Thank you and congratulations again! There also is a runner up entry by Mihai Gaitos which has some fascinating details including about Aurora software that came with the system. 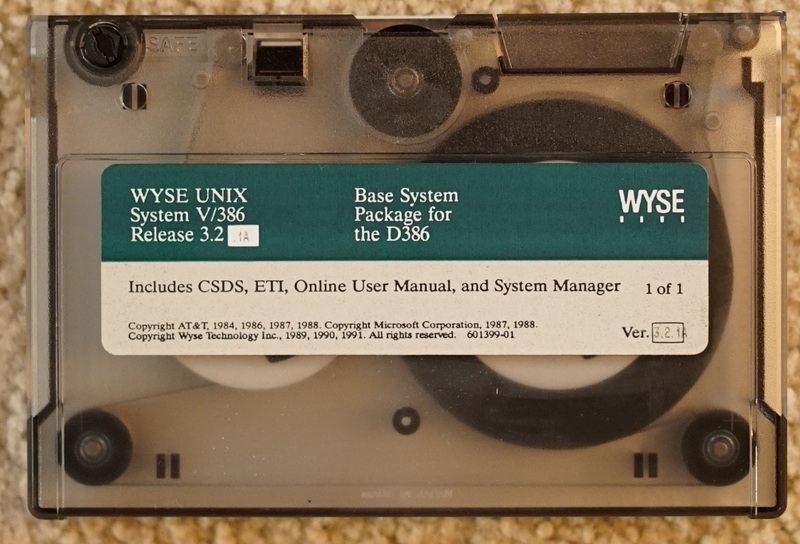 Wyse UNIX for 386 by Mihai Gaitos. This port was delivered as part of a similar virtualization challenge, which was won by Michai. Congrats! 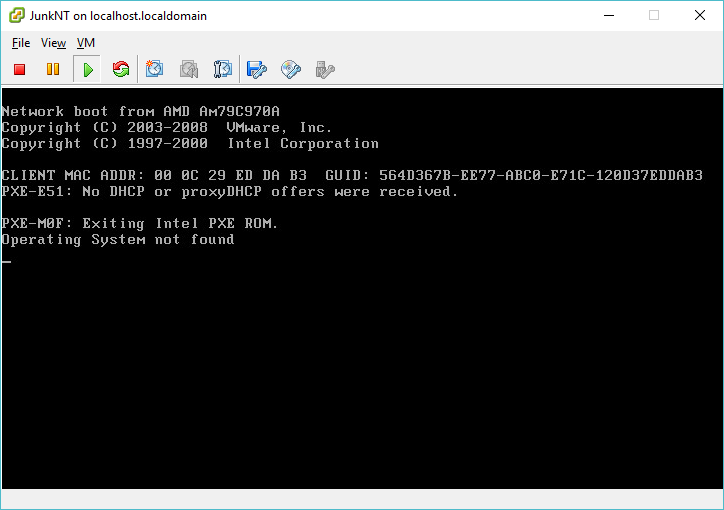 Cisco 1700 (PPC) emulated via Dynamips by Jason Stevens. This one is also very close to my heart because of my networking past and present. I will definitely want to try load it on a physical device! Jason is also working on MIPS version so hopefully this will run on Cisco 2500 and up. Android Wear. 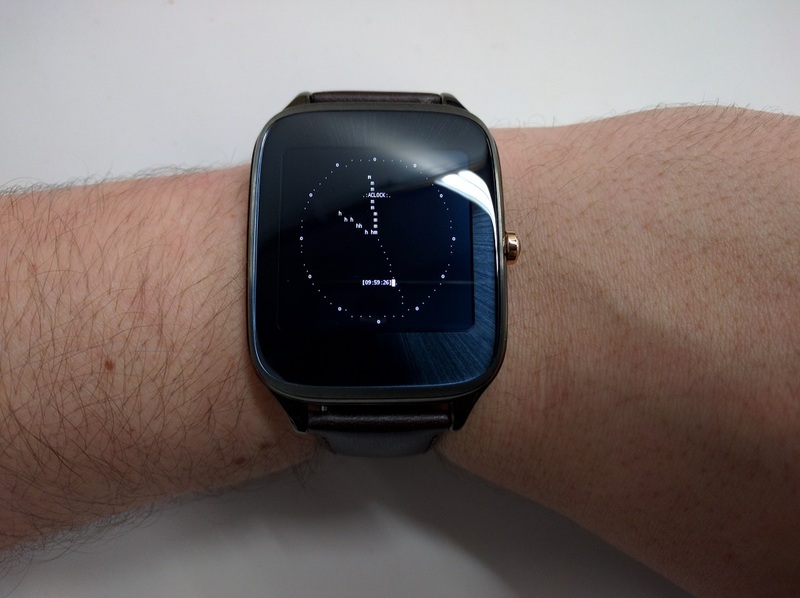 Parker Reed send me this photo of Aclock Android by Adam Gutman running on an actual watch! Wow this is so cool! 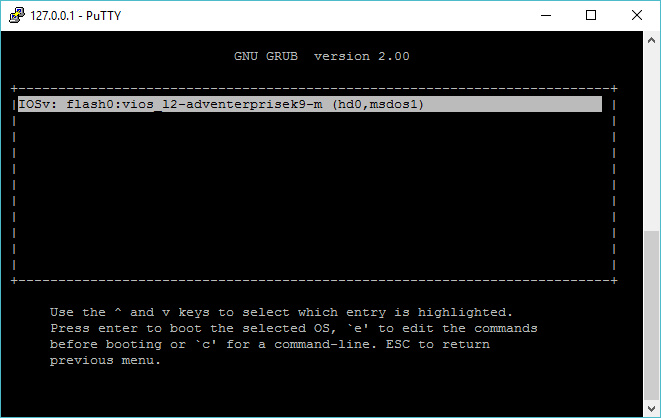 BSD/OS 4.1 aka BSDI for SPARC by Plamen Mihaylov. Also thanks to Cory Smelosky for releasing the images! EFI firmware on various platforms, such as x86, x64, ia64, arm32 and 64 by Natalia Portillo aka Claunia. This aclock can be launched from UEFI Shell or by running EFI standalone application if EFI shell is not available. 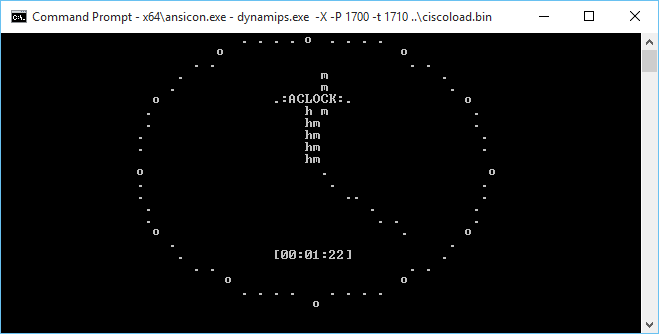 This is a screenshot of aclock EFI x64 running on HP DL380 via iLO remote console. 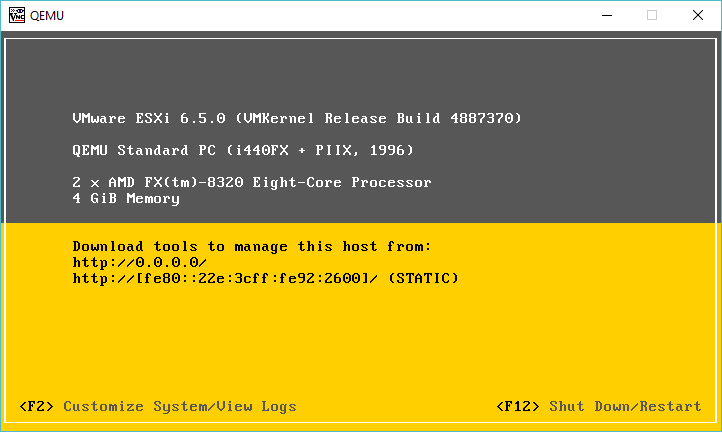 Linux and FreeBSD builds for ARM and PowerPC by Natalia Portillo. Claunia sent me a Christmas package with a aclock builds lot of missing CPUs for Linux and FreeBSD, both 32bit and 64bit PPC and ARM for both OSes. Total 8 binaries! Singularity on x86 by Natalia Portillo. SingularityOS was a research operating system from Microsoft. Rumor has it Microsoft wanted for it to eventually replace Windows NT line with managed code OS. As expected it didn’t perform too well and with doom of Windows Vista the project was eventually scrapped. Singularity development kit has been released to the public on CodePlex. Since the OS is text mode only, it was a natural target for Aclock. A port in C# (OMFG) has been created and the binary integrated in to the iso boot image. RISC iX running on Acorn R260 by Raymond Stricklin aka Bear. 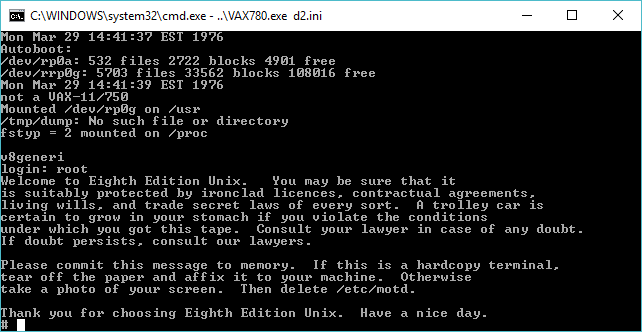 I was scorching the earth looking for a working copy of RISC iX and there he had it. Thank you. It’s beautiful. Minix 3 for ARM by Natalia Portillo. Latest release of Minix adds experimental support for ARM architecture. 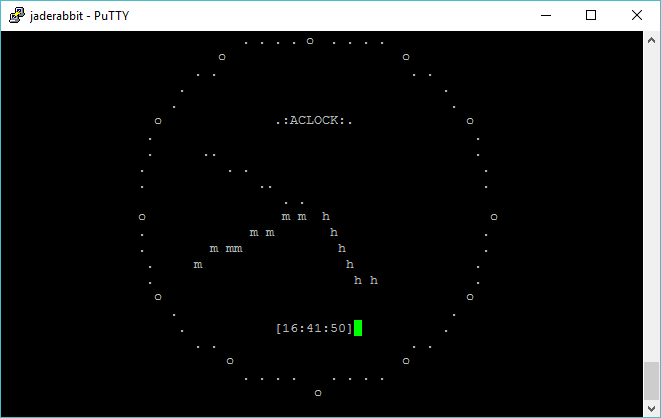 No network and framebuffer but aclock works over a serial console! Again thank you for all your contributions! If you want to to help contribute to aclock, there is a wanted list. Some of them come with a monetary reward. Please contact me before undergoing any major work as some of them are under way. Also, aclock now lives on GitHub, for easier.. everything. So you know all the old speedtest.net stuff. 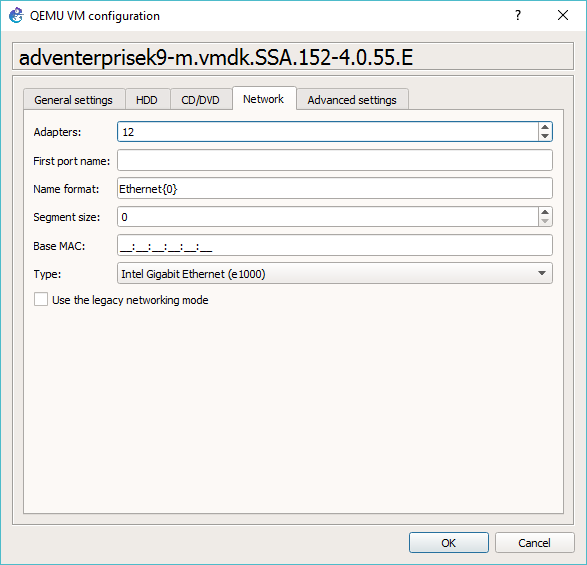 They have their old flash based client, and a html5 client, but what if you are on a bare VPS, and you don’t want to install X and the gigs of desktop to run a simple bandwidth test? 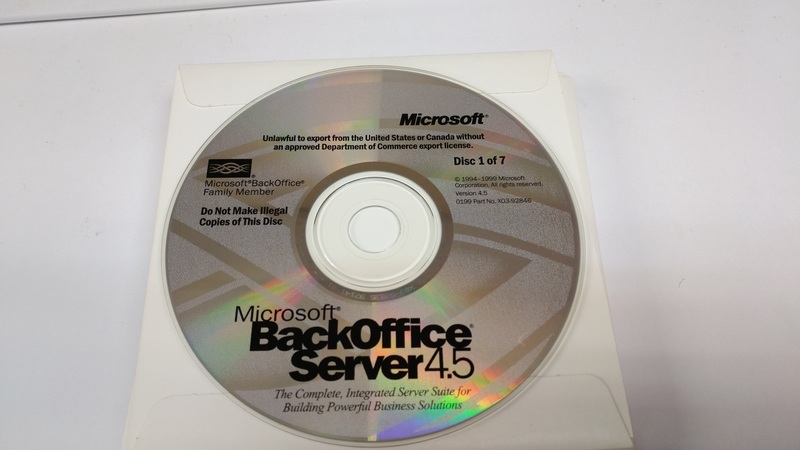 BackOffice Server 4.5 aka how to get the best of 1990’s Microsoft Server Tech! Every so often, I’ll get either emails or messages from various people wanting to run their own exchange server setup in a similar method that I have setup, except that they are lacking either Windows NT Server discs, or even the Exchange server disc. I always end up pointing people to eBay, although contrary to the last few years, prices of old Exchange Server have gotten expensive. 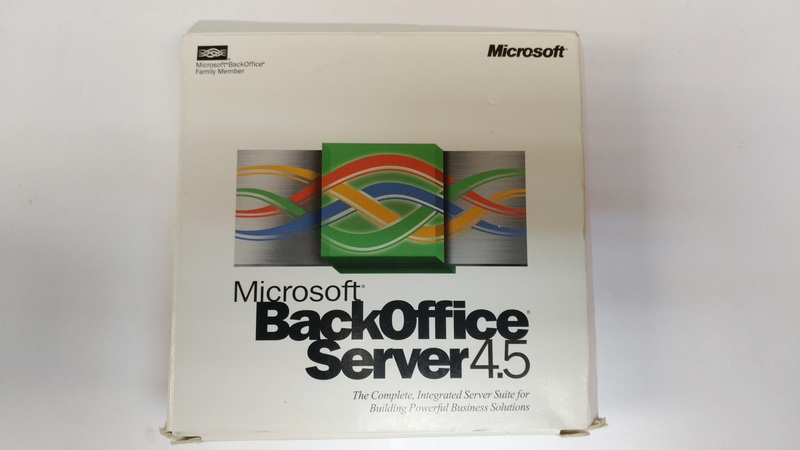 However there is a different SKU, and way to get them both, plus a lot more, enter the late 1990’s server craze of product consolidation, Microsoft Back office. Before server virtualization took off, the trend for small branch offices and small organizations was to get a single server and try to run everything all at once. Of course this leads to an incredible amount of inter-tangled dependencies, and possible collisions when involving 3rd party software, along with possible performance issues for stacking so much onto one box. How times have changed! Where today we may run all the same services on a single physical box, however with each server component getting its own VM, it lends to far better stability as you don’t have so many applications with possible DLL/system versioning issues, and better resource management as you can easily prioritize VM’s or even suspended ones that are infrequently needed. Having lived through it, there was nothing like having a needed service pack for one issue on one component, which then broke something else. Needless to say this is why we have virtualization, and things like docker to deal with DLL hell. There is no real difference between these Back office versions of the server apps, which is why I would recommend this over a standalone package as you get so much more. SMTP along with POP and IMAP, are largely unchanged. While Outlook 2016 may not support Exchange 5.5 directly, you can configure it as an IMAP server, and connect just fine. I’d highly recommend something like stunnel to wrap it with modern encryption, something that Windows NT 4.0 is lacking. Combined with an external relay to do “modern” features like DKIM, spam filtering and obscuring your server’s direct connection on the internet, there is nothing wrong with using it as a backed, even in 2017. SQL 7 is the first version in the “rewrite” of Sybase SQL, supporting the new client libraries, which .Net 4.5 on Windows 10 can still happily connect to, unlike SQL 6.5 and below. I use it occasionally to quickly prototype stuff as needed or load up datasets to transform them. I also like the SQL scheduler to do jobs in steps, as it can catch error codes, and you can setup elaborate processes. I can’t imagine having a use for SNA Server anymore as IBM had shifted all their mainframes from SNA, to TCP/IP. 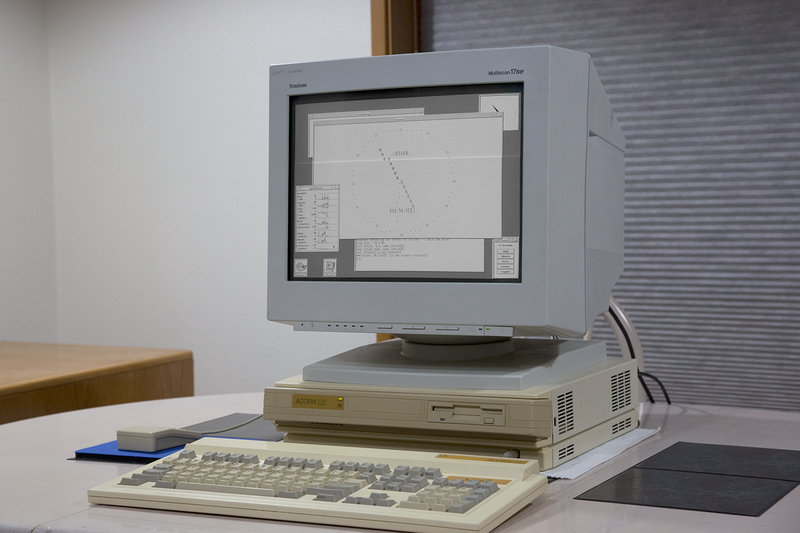 I would imagine with a current software contract that is what people would be using, but somehow I’d like to imagine some large organization still using 3270’s on people’s desks, and a SNA gateway to bring sessions to people’s desks. But that is highly unlikely. Back in the day COM/TI was a big deal to take COBOL transactions and package them up as Microsoft COM objects to later be called either directly, or middleware via DCOM. Although who knows, when it comes to legacy stuff, Im sure somewhere has type 1 token ring MAU’s, and SDLC links. 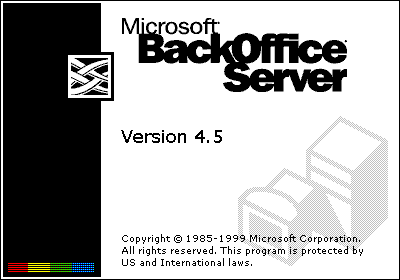 Packages like Back Office is what basically pushed out Novel from the market as they didn’t develop their own solutions in time, and deploying server software to Novel Netware proved to not only be very precarious, but along with it’s single application process space, proved to be extremely unreliable. Not to mention that older protocol companies like DEC, IBM or Novel were entrenched in their own proprietary network stacks, and TCP/IP was frequently seen as something to be purchased separately both for the OS, and the application. Microsoft certainly did the right thing by having a free TCP/IP for Windows for Workgroups, and including it in Windows NT, and Windows 95. As always the option Pack for Windows NT 4.0 nearly brings it up to the functional level of Windows 2000, and is a great way to build that virtual corporation for testing. 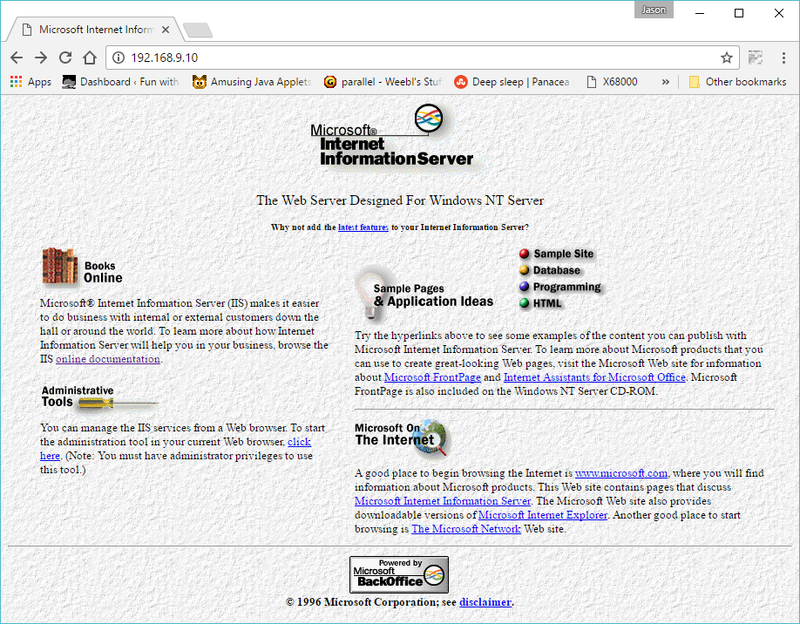 Author neozeedPosted on March 12, 2017 March 12, 2017 Categories Exchange, Windows NT 4.036 Comments on BackOffice Server 4.5 aka how to get the best of 1990’s Microsoft Server Tech! Sourcecode to Darwin 0.1 located! Over on the NeXT Computers forum, the source code has been uploaded and shared to all! Rob Blessin uploaded the source! So naturally I mirrored it as soon as I found out, dumped it into CVS, so I can load it up in CVS2WEB, and src2html. And I setup a quick mirror over on my vpsland site (as always 404 error gives the correct password). It’s source code only, so no binaries. As an edit, it was source only, but I’ve made binaries, and even Qemu images. Author neozeedPosted on March 11, 2017 May 2, 2017 Categories Darwin, mach, OS XLeave a comment on Sourcecode to Darwin 0.1 located! The line that says “Running inside a VM; adjusting spinout timeout to 180 seconds” would suggest that KVM implements enough of our backdoor interface to make it look like we’re running under a VMware hypervisor. When we’re running in this environment, we use the backdoor to get the host TSC frequency. I suspect that KVM doesn’t implement the “GETMHZ” backdoor call, so we are confused about the TSC frequency. The 30ms delay turns into … 30 hours? 30 years? 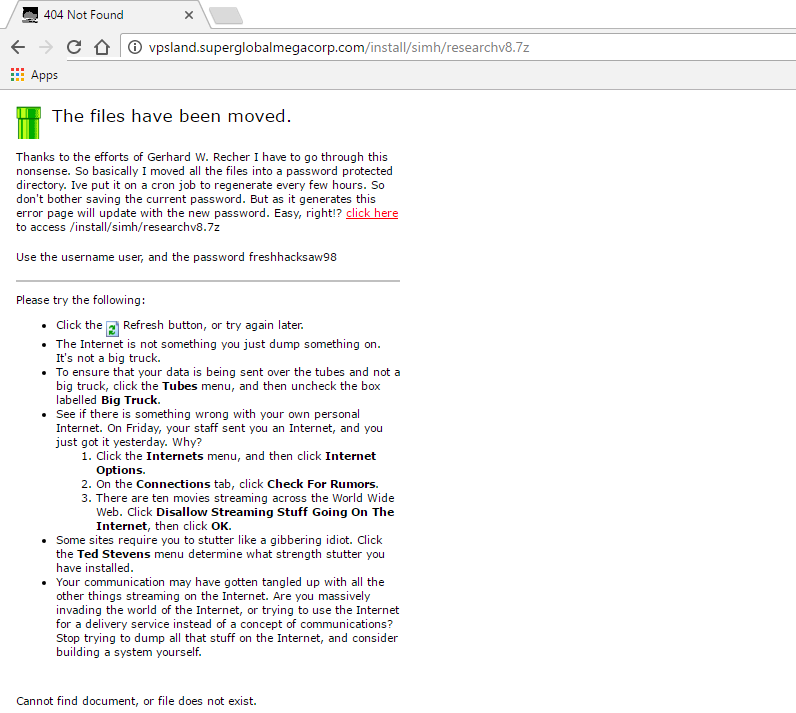 So they had a source code change for QEMU 1.7.0, however it obviously doesn’t work in 2.x. It was rolled up stream, and then made into a switch to disable with a simple flag to add into the command line. And now I can boot up, and install VMWare! By default you will not be permitted to start any virtual machine. To get around this you have to enable VMWare to run nested. And then you are good to go! 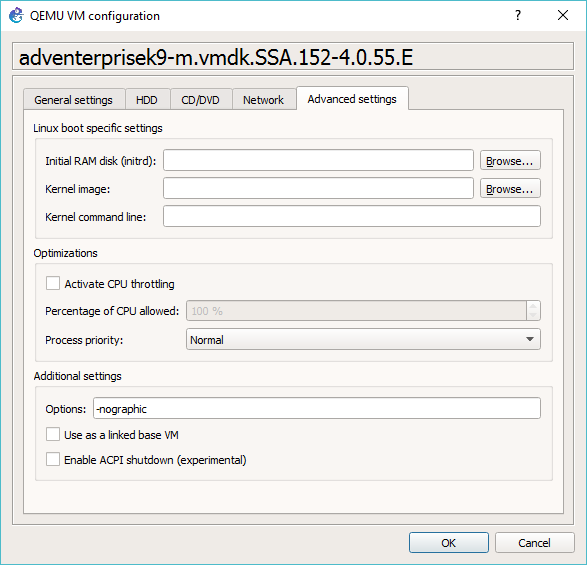 Running VMWare ESXi 6.5 under Linux/KVM! 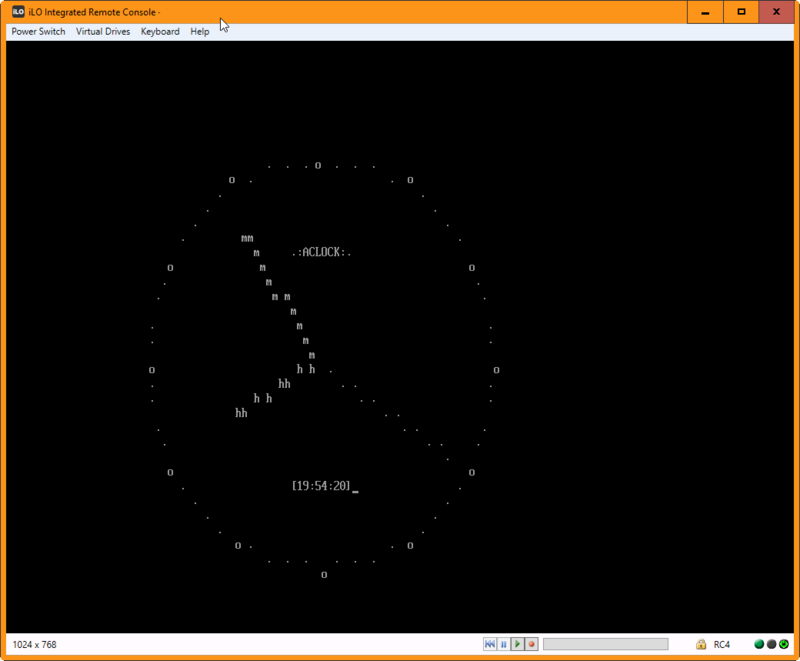 So with VIRL in hand, the next thing I wanted to do was play with some LACP, and VMWare ESX. Of course the best way to do this is under KVM as you can use UDP to bounce packets around between virtual machines, like the VIRL L2 switch. I went ahead and fired up 5.5 and got this nice purple screen of death. 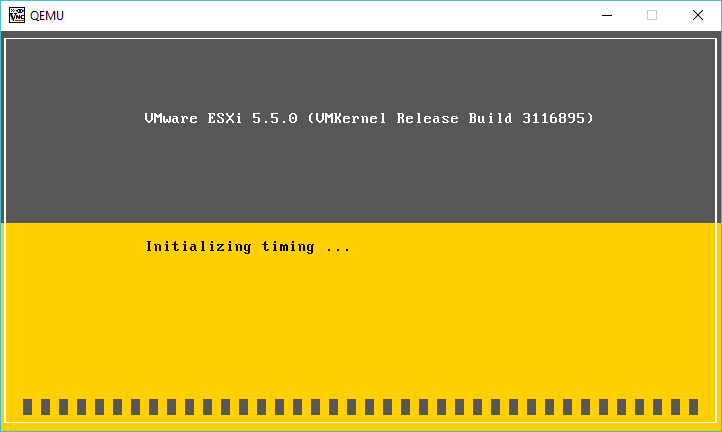 After going nowhere with that, I went ahead and downloaded VMWare ESXi 6.5 which as of today is the latest version, and that installed just fine! Now as you can see the udp sockets are inverse of eachother, meaning that the ESX listens on 10000 and sends to 127.0.0.1 on port 20000, while the switch listesns on 20000, and sends packets to 10000 for the first ethernet interface pair. And of course the networking actually does work… I created a quick VM, and yep, It’s online! With ip forwarding turned on my Ubuntu server, and an ip address assigned to my bridge interface, I can then access the NT 4.0 VM from my laptop directly. 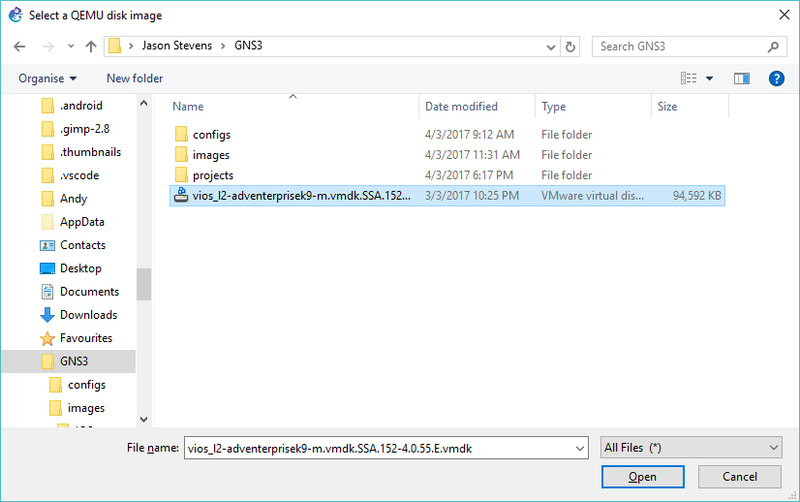 Author neozeedPosted on March 7, 2017 March 8, 2017 Categories ESX server, KVM, Linux, VMWare3 Comments on Running VMWare ESXi 6.5 under Linux/KVM! 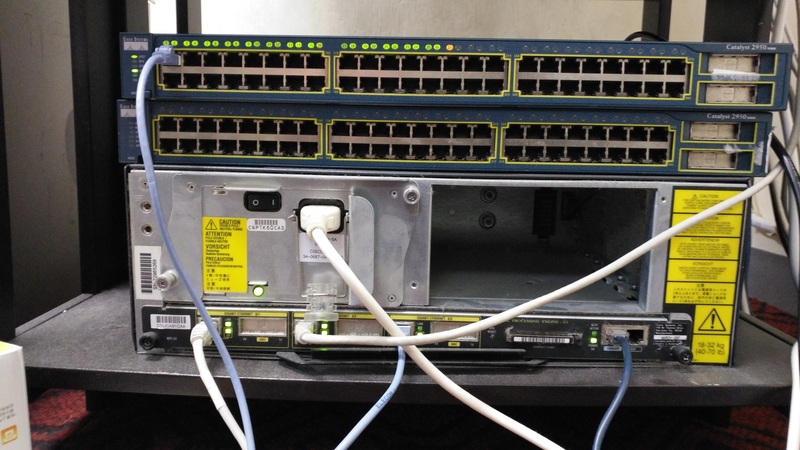 Well for the longest time there was no generally available way to emulate a cisco L2 switch. right before Dynamips was abandoned, in 0.28RC1, there was actually some work on the the Catalyst 6000 Supervisor 1 line card, although no interfaces are supported, and it was largely seen as impossible at the time. 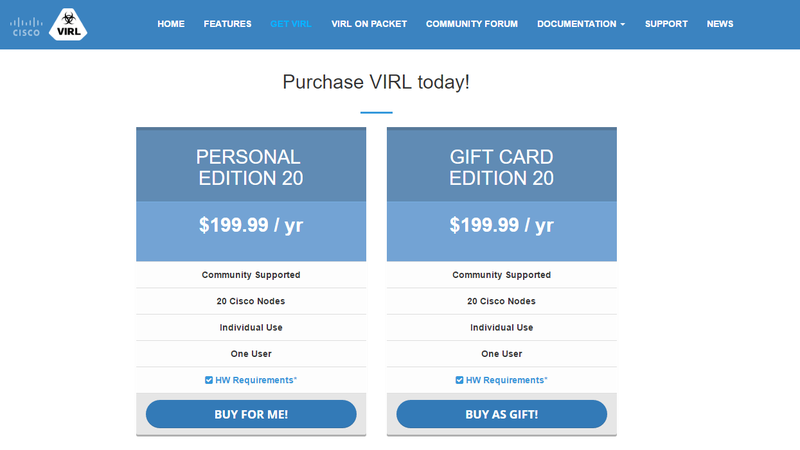 So VIRL comes in a few different flavors. 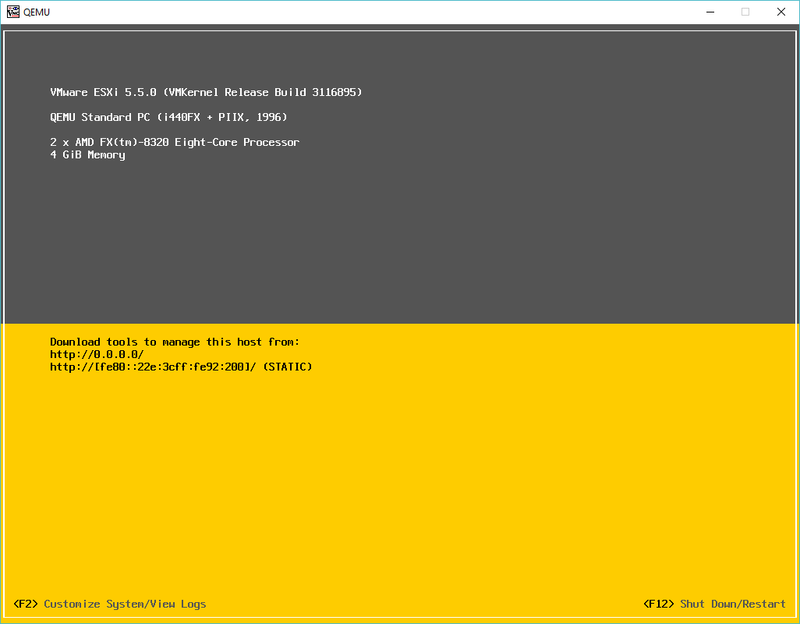 They do have an ISO to run on bare metal x86 machines, OVAs for deployment on VMWare Workstation, and ESXi (Although for player you’ll have to get VIX and the vmnet config util from workstation, as I went through here & here). Although that’s not so much what I’m interested in. As always I’m more interested in something that lets me run it on my own. So as of today, the latest file is vios_l2-adventerprisek9-m.vmdk.SSA.152-4.0.55.E, with the MD5 checksum of 1a3a21f5697cae64bb930895b986d71e. 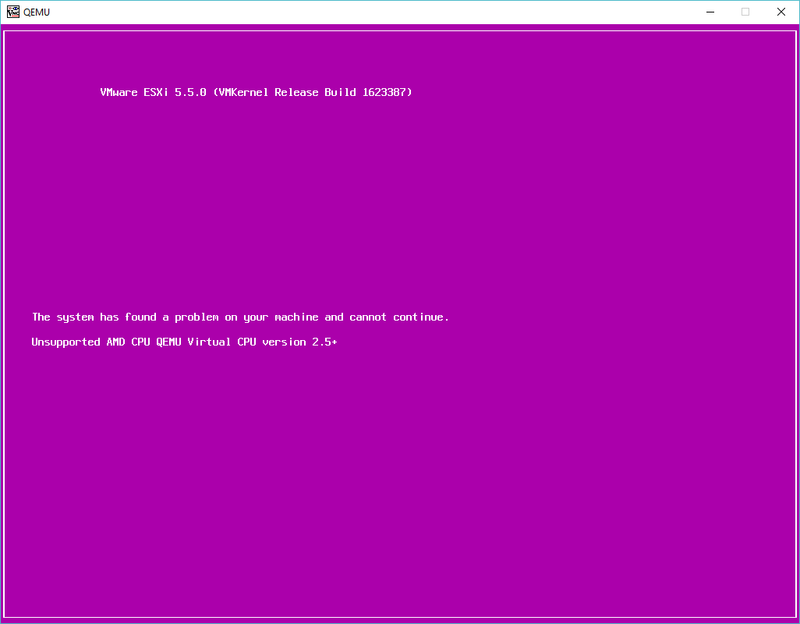 So as a first test, you can run the L2 image with Qemu/KVM! 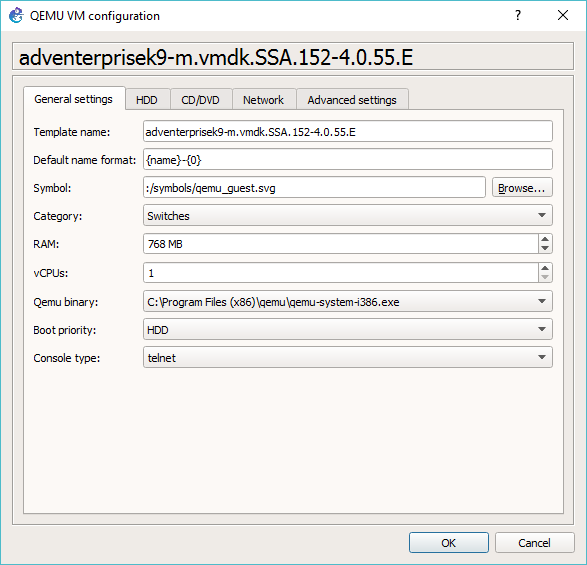 I found it works better renaming vios_l2-adventerprisek9-m.vmdk.SSA.152-4.0.55.E to vios_l2-adventerprisek9-m.vmdk.SSA.152-4.0.55.E.vmdk otherwise there was some issues with Qemu picking up the image. The command line for a switch can be a little crazy so it’ll break some of it up onto separate lines. This way you can see that I bound a few interfaces to listen on UDP, while most of them are unbound, but you get the idea. Naturally it being a cisco product, it drives with a serial console. Now, while I think it’s interesting to play with, but I know many people don’t like to setup and run a dozen programs manually, so how do we get this to run under GNS3! give it a name like adventerprisek9-m.vmdk.SSA.152-4.0.55.E… Or anything else you wish to call it. Next I set the emulator to qemu-system-i386.exe and give it 768MB of RAM. hit next, and then it’ll prompt to select a disk image. In this example, remember I had renamed the downloaded VIRL image to have a VMDK extension. After that the wizard is complete. However there is still a bunch of settings that still need to change. If you don’t make these changes you’ll have a switch with a single Ethernet port, and you will only be able to deploy a single switch, so that won’t be any fun!. Once the wizard has finished you’ll be in the Preferences. Just hit edit, on the template we just added, or otherwise it’s under Edit->Preferences. First thing is kind of cosmetic, but go ahead and set the Category to Switches, so that way it ‘flows’ nice in the UI. Next hit the Network tab, and then add some adapters. I’ve set the switch to 12 adapters. The default of 1 isn’t too useful. Next up hit the Advanced settings tab. Be sure to un-check the ‘Use as a linked base VM’ . This will let you deploy multiple copies. On Windows there is some weird issue where changes are seemingly not saved, so be sure to have a config backup strategy beyond saving the config locally. 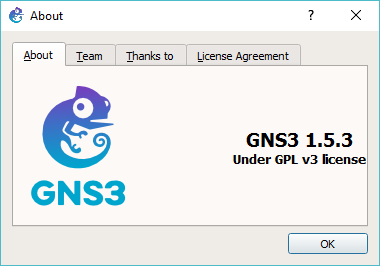 Great, hit OK, and now we’ve got our L2 template for GNS3! Now using the qcow2 file, the switch will boot up just fine! As they say, with a little testing you can find that stuff has been broken for years without anyone complaining that loud. I guess the lucky thing is that with the rise of fast computers, and decent virtualization and emulation we’ve been running Xenix on Qemu for nearly a decade! It’s interesting how at one point ABI compatibility was seen as the holy grail of running everything all at once, and micro kernels were going to let us run ‘personalities’ of everything. And we’ve now gone full IBM using hardware virtualization to run paravirtualized guest OS’s at will. Although I still think that OS/2 2.0 had the best paravirtualized guest OS experience, the way it ran Windows seamlessly on the OS/2 desktop.